 The Imperial Symphony Orchestra office is located on the campus of Florida Southern College near Branscomb Memorial Auditorium in the Davis Performing Arts Center. Most ticketing is handled through The Lakeland Center’s box office and Tickets.com. 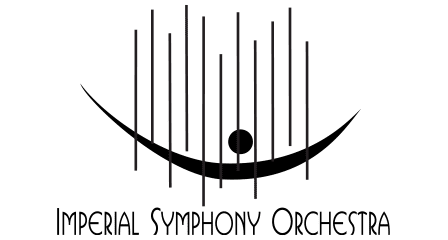 Masterworks series subscriptions are managed by the ISO office, where subscribers can avoid paying ticketing fees and receive personalized service. Attending a symphony performance for the first time can often generate lots of questions. Some of the most frequently questions asked by ISO audience members are answered below. Please feel free to call the ISO office to ask any questions that are not answered below… no question is too silly! First things, first… what do I wear? While the musicians in the orchestra will be in tuxedos and gowns, formal attire is not required for audience members. Most concertgoers will wear business or cocktail attire. Lobby doors open one hour prior to concert time, and doors to the theatre open 30 minutes prior to concert time. Patrons who arrive after the concert has started will be assisted by ushers to find an appropriate time to enter the theatre, usually during a pause in the program. Masterworks concerts are usually an hour and one-half to two hours with an intermission. Family concerts and pops concerts are closer to one hour without an intermission. Of course! Students receive free admission to ISO concerts through the Next Generation for the Arts scholarship program. Masterworks concerts are about one and one-half to two hours with a 15-minute intermission. The lobby is always available for restless children (and adults!) to expend some energy. The ISO also performs two family concerts designed just for young children. Speaking of restless, do I really have to sit quietly? Silence in the theatre keeps the distractions for the musicians and fellow audience members to a minimum. Because the theatre is built to carry sound all the way to the balcony, the same principles that allow the audience to hear soft solos played on stage also allow whispers, phone vibrations, watch beeps, candy wrappers and more to be heard… everywhere! Yes! Please take photos (without the flash) and share them with the ISO on Facebook, Twitter and Instagram. It is important to stay mindful of those seated around you. Can I record audio or video? Unfortunately, no. Not only can the glare from the screen distract musicians and other patrons, the music that the orchestra plays is licensed specifically for the audience in the theatre. Accessible seating is available by request at all concerts. Please see the Venues page for contact information. I’m looking for an instructor for my child. Where can I find a flute instructor? The ISO is full of talented musicians who also give lessons. Please call the ISO office for information on musicians for hire: (863) 688-3743. How do I know when to clap? It is traditional to welcome the Concertmaster, or first chair violin, with applause. He will walk out before the conductor to tune the orchestra. When Maestro Thielen and any guest artists arrive on stage, it is also appropriate to clap. After a guest artist or soloist has performed, he or she will walk back on stage for a second time during applause to bow again and recognize the orchestra. The audience may give a standing ovation at this time if the performance was truly outstanding. It is supportive to keep clapping until the soloist and conductor have made their final exit. Reading the program can help to identify when to clap. Typically, applause is held until the end of the final movement of the piece, typically signaled by the conductor by lowering his baton.